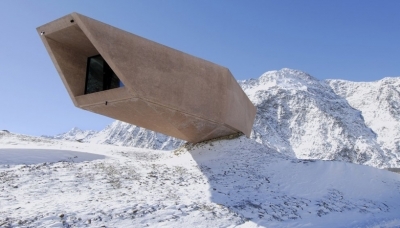 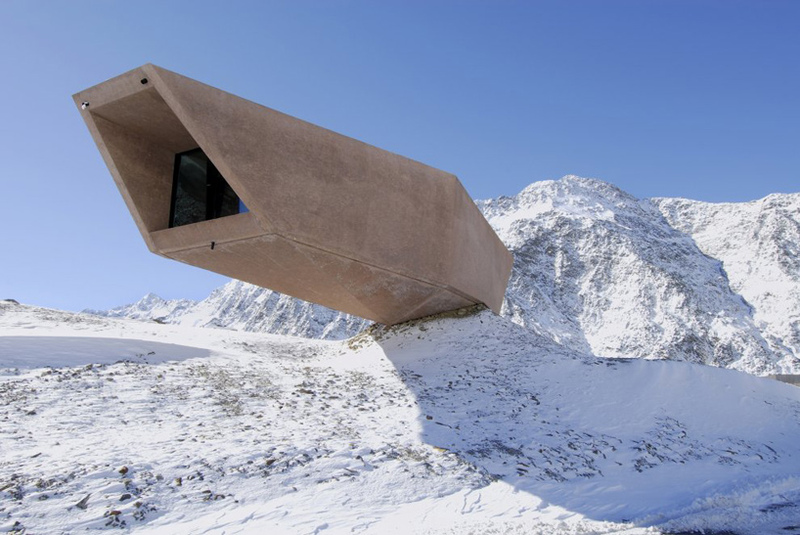 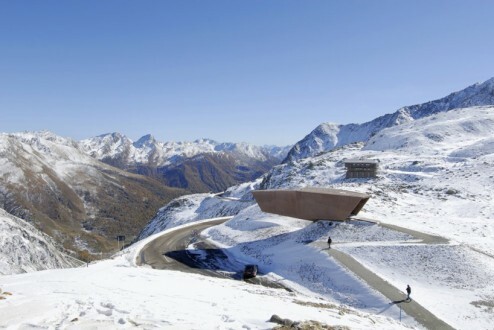 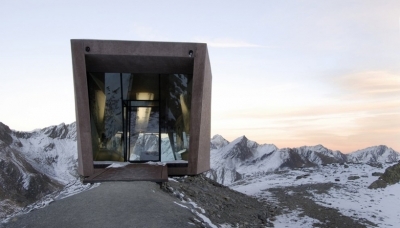 Italian architect Werner Tscholl has designed Pass Museum, a small cantilevering shelter on the highest point of the Timmelscjoch, Austria. 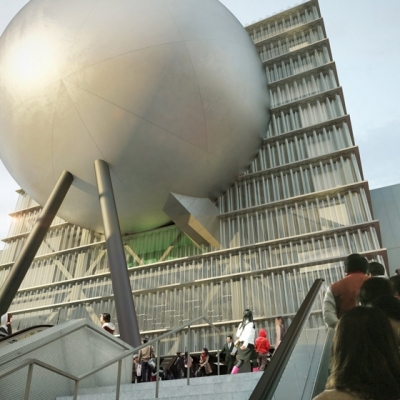 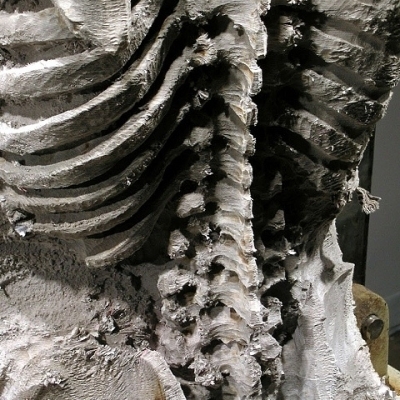 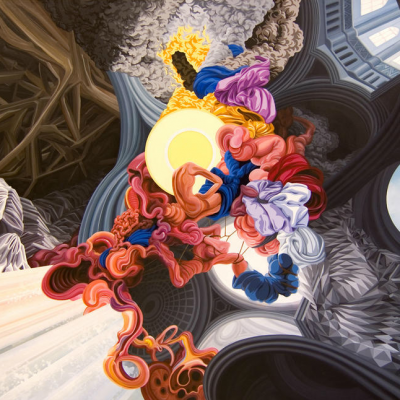 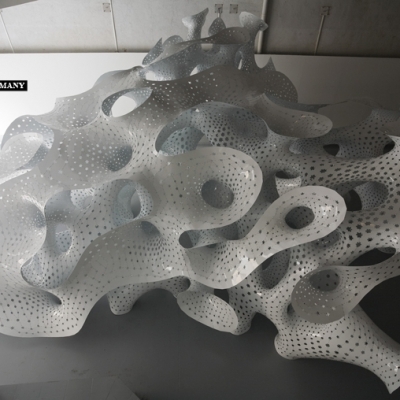 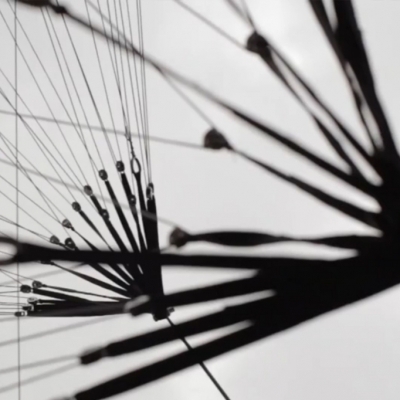 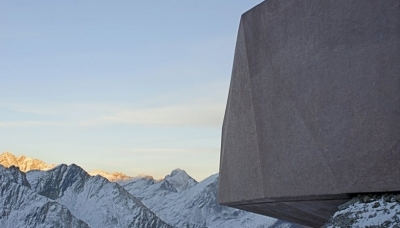 Conceived as a part of a collection of architectural sculptures placed along the train, the design references the form of an erratic boulder to jut out beyond the land on which it sits. 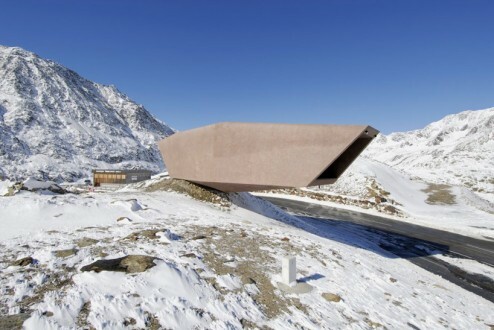 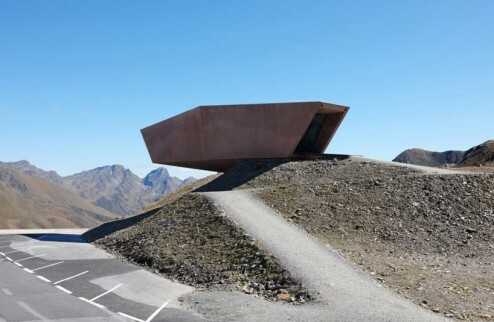 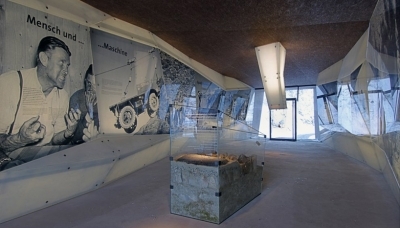 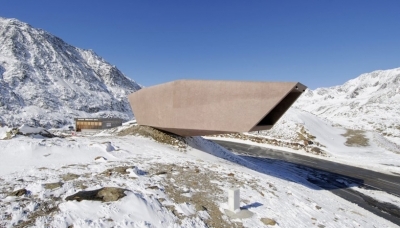 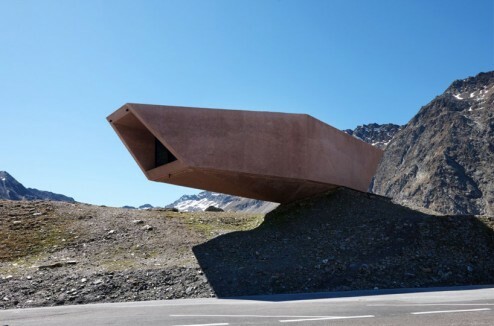 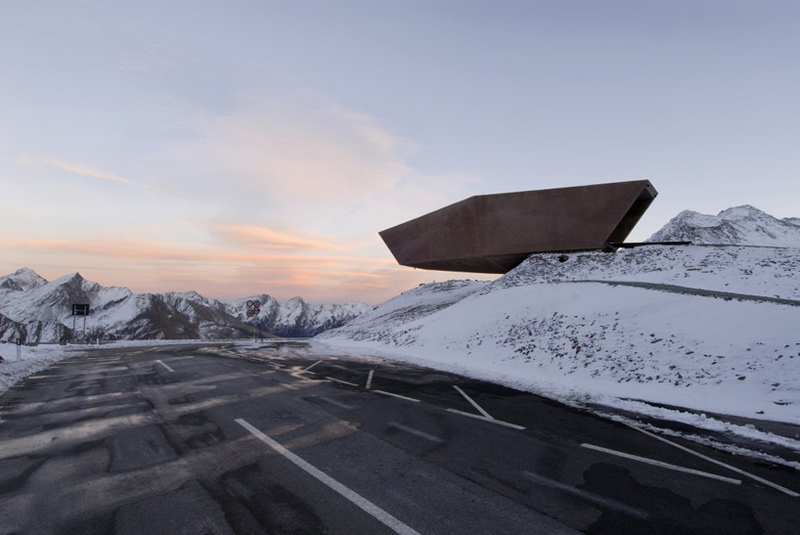 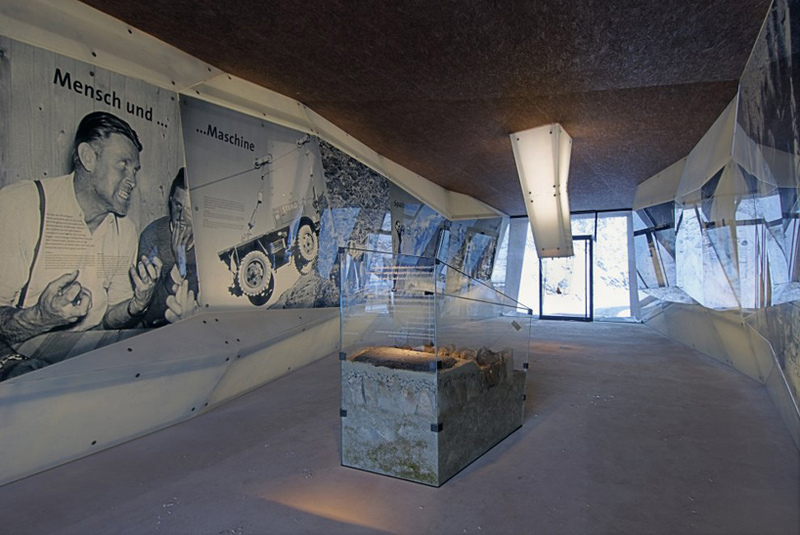 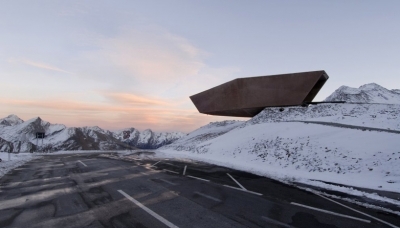 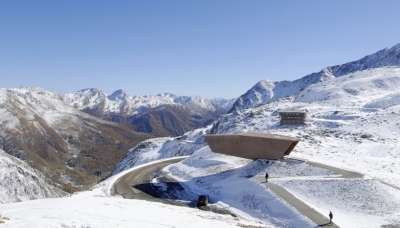 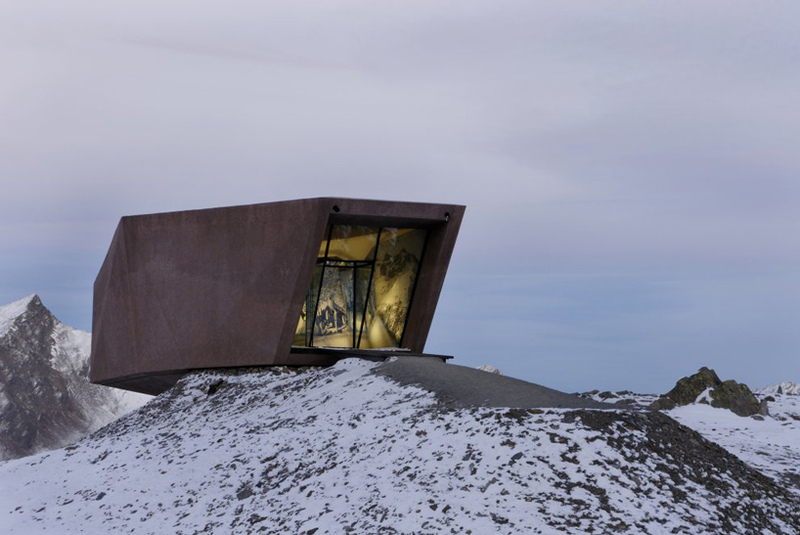 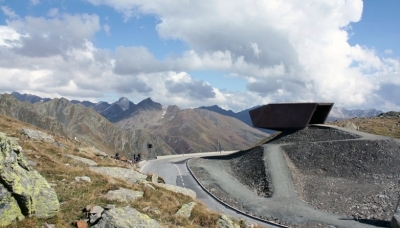 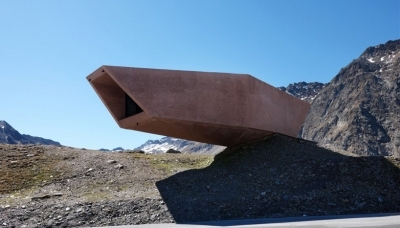 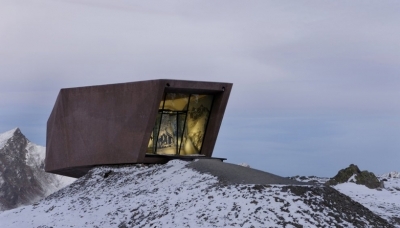 Highlighting the pioneers of the High Alpine road and their accomplishments, the monolithic museum takes on a faceted form which lends a geometric character to the exterior. 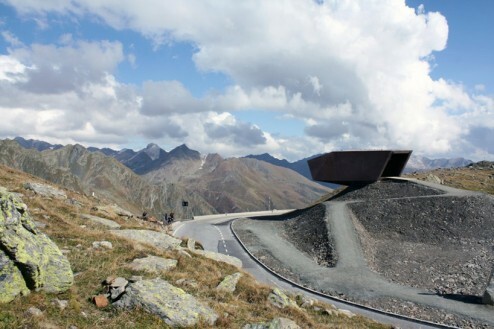 The solid impression is further achieved by an earth-tone finish drawn from the palette of the surrounding mountainscape. 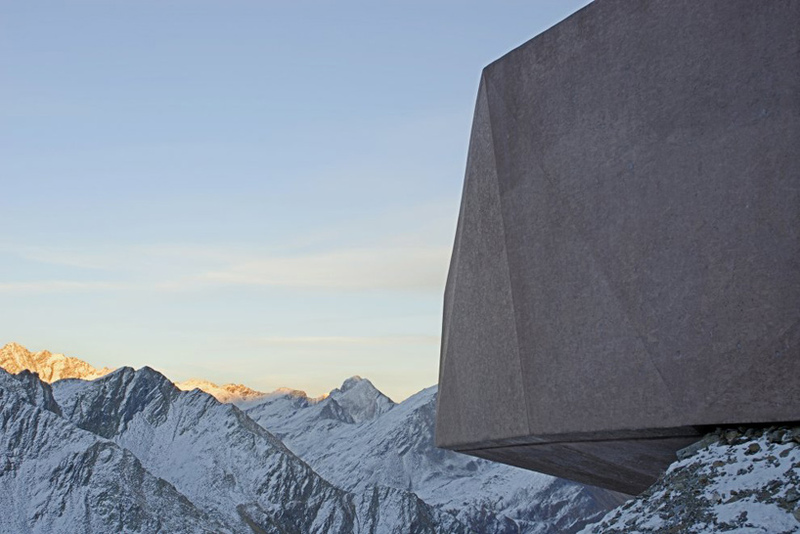 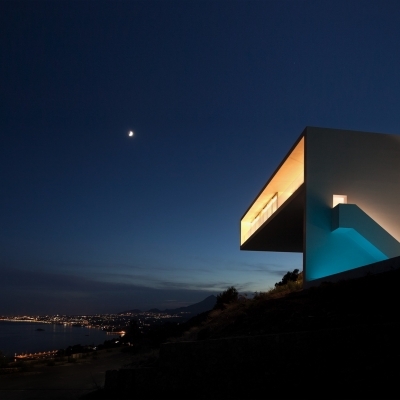 Open on both ends as a singular space, the architectural sculpture also acts as a look-out, directing views from the inside out towards the non-glaciated indentation in the alpine ridge. 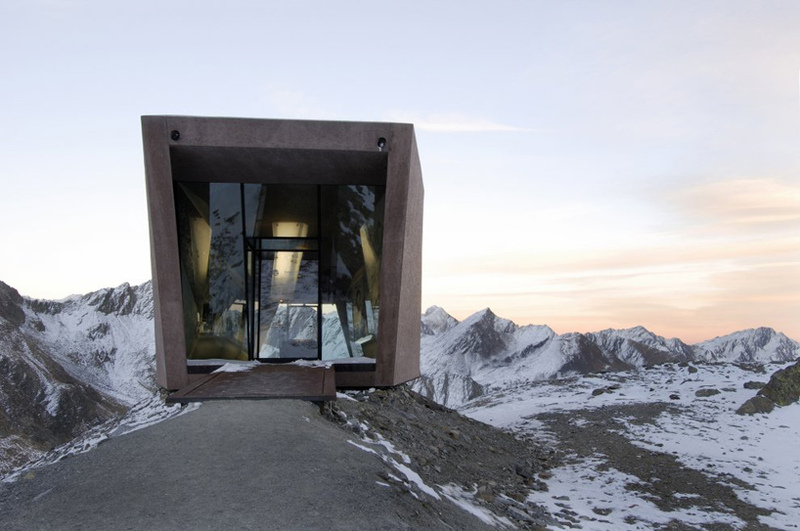 The internal volume is informed by the carved shape of the exterior, uniform in palette and atmosphere for a seamless experience of the Timmelscjoch.